The world’s smallest wearable, battery-free device has been developed by Northwestern Medicine and McCormick School of Engineering scientists to measure exposure to light across multiple wavelengths, from the ultra violet (UV) to visible and even infrared parts of the solar spectrum. It can record up to three separate wavelengths of light at one time. The device’s underlying physics and extensions of the platform to a broad array of clinical applications were reported in a study published in Science Translational Medicine. These foundational concepts form the basis of consumer devices launched in November to alert consumers to their UVA exposure, enabling them to take action to protect their skin from sun damage. When the solar-powered, virtually indestructible device was mounted on human study participants, it recorded multiple forms of light exposure during outdoor activities, even in the water. The device monitored therapeutic UV light in clinical phototherapy booths for psoriasis and atopic dermatitis as well as blue light phototherapy for newborns with jaundice in the neonatal intensive care unit. It also demonstrated the ability to measure white light exposure for seasonal affective disorder. The new device monitored therapeutic UV light in blue light phototherapy for newborns with jaundice in the neonatal intensive care unit. As such, it enables precision phototherapy for these health conditions, and it can monitor, separately and accurately, UVB and UVA exposure for people at high risk for melanoma, a deadly form of skin cancer. For recreational users, the sensor can help warn of impending sunburn. The device was designed by a team of investigators in the group of John Rogers, PhD, the Louis Simpson and Kimberly Querrey Professor of Materials Science and Engineering, Biomedical Engineering in the McCormick School of Engineering and a professor of Neurological Surgery at Northwestern University Feinberg School of Medicine. Rogers tried to break it. His students dunked devices in boiling water and in a simulated washing machine. They still worked. Northwestern scientists are particularly excited about the device’s use for measuring the entire UV spectrum and accumulating total daily exposure. “There is a critical need for technologies that can accurately measure and promote safe UV exposure at a personalized level in natural environments,” said co-senior author Steve Xu, MD, MSc, ’18 GME, an instructor of Dermatology and a Northwestern Medicine dermatologist. Light wavelengths interact with the skin and body in different ways, the scientists said. 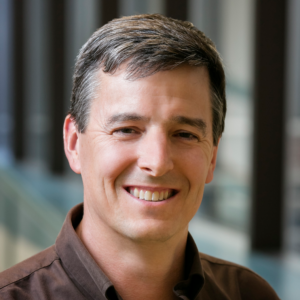 John Rogers, PhD, the Louis Simpson and Kimberly Querrey Professor of Materials Science and Engineering, Biomedical Engineering in the McCormick School of Engineering and a professor of Neurological Surgery, led the team that designed the new device. In addition, the intensity of the biological effect of light changes constantly depending on weather patterns, time and space. “If you’re out in the sun at noon in the Caribbean, that sunlight energy is very different than noon on the same day in Chicago,” Xu said. Skin cancer is reaching epidemic proportions in the U.S. Basal cell carcinoma and squamous cell carcinoma of the skin account for more than 5.4 million cases per year at a cost of $8.1 billion yearly. In 2018, there will be an estimated 178,000 new cases of melanoma, causing 9,000 deaths. Every hour, one person dies of melanoma. Currently, the amount of light patients actually receive from phototherapy is not measured. “We know that the lamps for phototherapy are not uniform in their output — a sensor like this can help target problem areas of the skin that aren’t getting better,” Xu said. 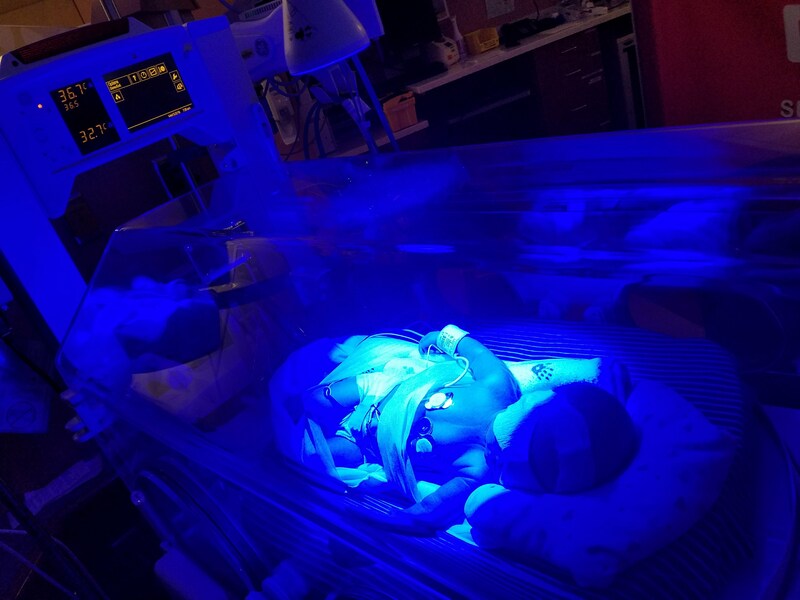 Physicians don’t know how much blue light a jaundiced newborn is actually absorbing or how much white light a patient with seasonal affective disorder gets from a light box. The new device will measure this for the first time and allow physicians to optimize the therapy by adjusting the position of the patient or the light source. Because the device operates in an “always on” mode, its measurements are more precise and accurate than any other light dosimeter now available, the scientists said. Current dosimeters only sample light intensity briefly at set time intervals and assume that the light intensity at times between those measurements is constant, which is not necessarily the case, especially in active, outdoor use scenarios. They are also clunky, heavy and expensive. Light passes through a window in the sensor and strikes a millimeter-scale semiconductor photodetector. This device produces a minute electrical current with a magnitude proportional to the intensity of the light. This current passes to an electronic component called a capacitor where the associated charge is captured and stored. A communication chip embedded in the sensor reads the voltage across this capacitor and passes the result digitally and wirelessly to the user’s smartphone. At the same time, it discharges the capacitor, thereby resetting the device. Multiple detectors and capacitors allow measurements of UVB and UVA exposure separately. The device communicates with the users’ phone to access weather and global UV index information (the amount of light coming through the clouds). By combining this information, the user can infer how much time they have been in the direct sun and out of shade. The user’s phone can then send an alert if they have been in the sun too long and need to duck into the shade. Called “My Skin Track UV,” the UVA version of the platform is now commercially available. Northwestern co-authors include June Robinson, MD, research professor of Dermatology, Seung Yun Heo, Anthony Banks and Jean Won Kwak. John Rogers and Tony Banks have a commercial interest in the technology. The research was supported by the National Cancer Institute of the National Institutes of Health grant number R44CA224658.